Your browser does not support iframes. Legendary Syracuse basketball coach Jim Boeheim joins SNY’s Daily News Live to discuss his career and his new autobiography, Bleeding Orange: Fifty Years of Blind Referees, Screaming Fans, Beasts of the East, and Syracuse Basketball. Jim Boeheim walked onto the Syracuse campus as just another non-scholarship guard on the freshman basketball team in 1962 . . . and he still hasn’t walked off. In six decades as a player, assistant coach and the head man on the bench for Syracuse University’s basketball program, Boeheim is synonymous with the blood and thunder of East Coast hoops. In Bleeding Orange, Boeheim recounts for the first time all of the pleasures and perils of a career spent battling “The Beasts of the Big East,” the NCAA and his own fear of failure. The son of a funeral director, Coach Boeheim has always been full of life, and his combative nature helped ignite what was arguably the most fascinating and competitive college basketball conference ever—the Big East of the 1980s. Boeheim’s battles with fellow coaches Big John Thompson of Georgetown, roly-poly Rollie Massimino of Villanova, feisty Jim Calhoun of Connecticut and beloved Louie Carnesecca of St. John’s turned the Big East into the best show in college basketball. 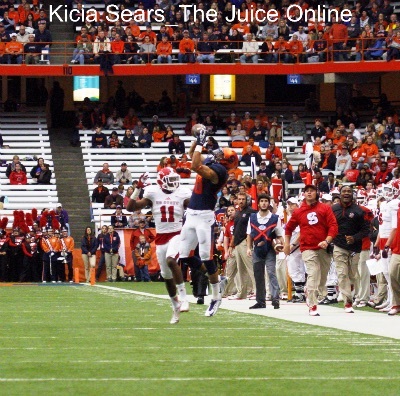 Combining a real time, inside-the-program account of the 2013–14 season—Syracuse’s first in the ACC—with a narrative of his most cherished memories of coming-of-age on the Syracuse campus and of coaching two Olympic gold medal–winning teams, Bleeding Orange is a must-read both for Syracuse fans and anyone who calls himself or herself an aficionado of college basketball history. Jim Boeheim is the second-winningest coach in college basketball history behind Mike Krzyzewski. In 2005, he was elected to the coaches wing of the Naismith Memorial Basketball Hall of Fame. 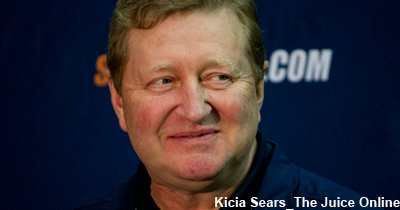 The 2014–15 season will be his 39th as head coach of the Syracuse Orangemen. He lives in Fayetteville, New York, with his wife and three children. 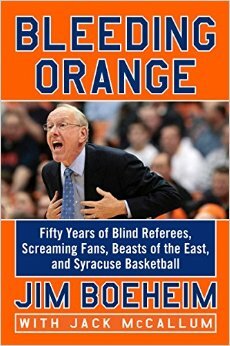 Make sure to get your copy of Bleeding Orange: Fifty Years of Blind Referees, Screaming Fans, Beasts of the East, and Syracuse Basketball on Amazon.